12 September. The formal surrender of Japanese forces in Southeast Asia to Lord Mountbatten, head of the Allied South East Asia Command, takes place at Singapore’s City Hall. With their commander, Field Marshal Terauchi Hisaichi, unable to attend for health reasons, the Japanese are represented by General Itagaki Seishirō, commander of the 7th Area Army based in Singapore. 2 October. While formally surrendering to the first official Allied representative to arrive in the city, a Dutch naval captain, the senior Japanese commander in Surabaya supports the Republicans. He thus orders his forces to hand over their remaining weapons to the Indonesians. Five days later, Japanese forces in Yogyakarta surrender to local Republican authorities. 4 October. At the end of a meeting between Japanese cabinet representatives and occupation forces GHQ, Konoe Fumimaro acting as minister of state asks General MacArthur if he has any instruction about a new government make-up. The interpreter’s reply mistakenly uses the word ‘constitution’ for ‘make-up’, leading Konoe to believe MacArthur answered that the constitution must be revised. Despite earlier Japanese opposition to such a move, legal experts under Konoe’s leadership begin to draft an amended version of the old Meiji constitution. 9 October. The Higashikuni cabinet that was formed one day after the Japanese surrender comes to an end. 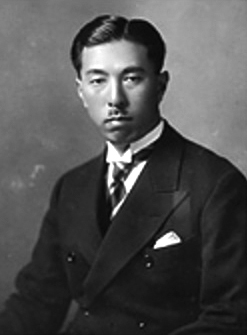 Prince Naruhiko Higashikuni resigns after a dispute with the American occupation forces over the repeal of the 1925 Peace Preservation Law. A new government is formed by the prewar diplomat Shidehara Kijūrō. 10 October. After the arrival of Chinese government forces in the city, the Japanese North China Area Army formally surrenders in Peiping in a large-scale public ceremony. 12 September. The remnants of the once-vast Japanese forces in Burma formally surrender to the Allies; about 70,000 troops are taken prisoner. Since the disastrous failure of the main Japanese army in July to break out of Burma, its few survivors together with other detachments (including units of the Indian National Army) have struggled to retreat east into Thailand or south into Malaya. Many have been killed by Karen irregulars. 27 September. In the first of ten such visits, Emperor Hirohito makes a formal visit to the U.S. embassy in Tokyo and is received there by General MacArthur. At one of these meetings the Emperor raises the issue of him being charged for war crimes. In the event, MacArthur decides that Hirohito should not be charged, a decision heavily criticized by some. 28 September. Mindful of Japanese briefings on the local situation and hearing news from RAPWI teams of growing disorder, especially on Java, Mountbatten seeks to soften the Anglo–Dutch agreement. The British occupation forces about to land will be confined to ‘key areas’ rather than fanning out across Java and Sumatra. There is an uproar next day when the incoming commander of British forces, General Philip Christison, publicly states their priorities will be to secure the Japanese surrender, repatriate POWs and internees, and maintain law and order. Outside the key areas, the Japanese should maintain order until local authorities take over. When he adds ‘the British have no intention of meddling in Indonesian affairs’, he implies a de facto British recognition of the new Republic.